Tooth whitening (tooth bleaching) is a treatment option for discoloured teeth. 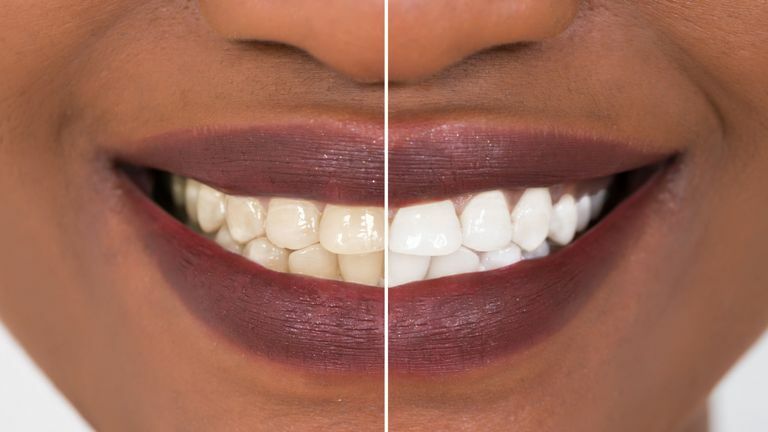 It is the use of chemicals (peroxides) to lighten tooth colour. It is useful in mild to moderate discolouration including aging-related discolourations. It should not be done on hypersensitive or decayed teeth, teeth with faulty fillings, heavily filled teeth, teeth with opaque white spots and teeth on which orthodontic brackets will be bonded. Tooth whitening techniques are vital or non-vital depending on whether the nerves in the tooth are alive or dead. Tooth bleaching can be done at the dental clinic or at home with bleaching kits. The visits may be single or multiple depending on the required results. Are there any side effects of bleaching? Bleaching may cause tooth hypersensitivity and gum irritations. The hypersensitivity lasts for a short while. The roots of the teeth may also resorb in some cases. The discolouration can recur especially if you continue to take foods that can discolour the tooth.